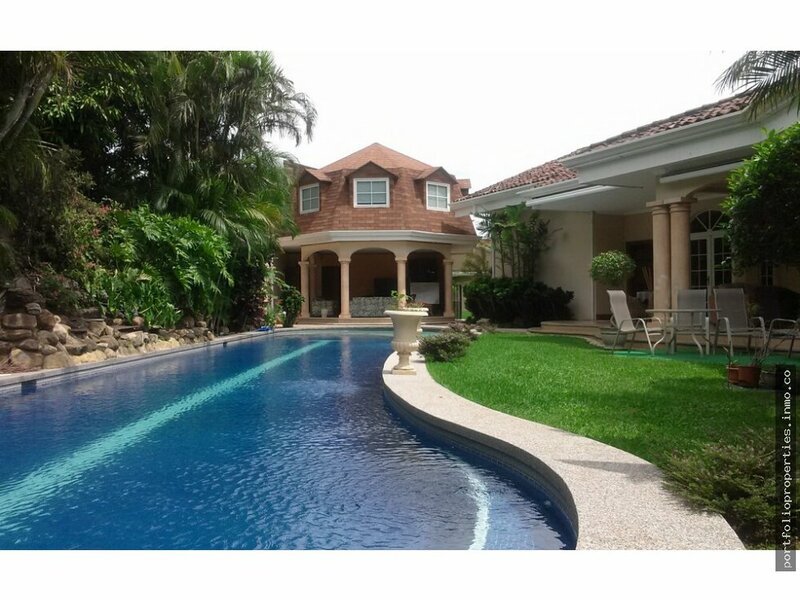 FANTASTIC SETTING FOR A STUNNING HOUSE, all living areas overlooking designer oval pool, and beautiful mature tropical gardens. Main house open to gardens with privacy of surrounding fence. Separate 2 story guest house, with pool changing room and bath as well as rancho area below. 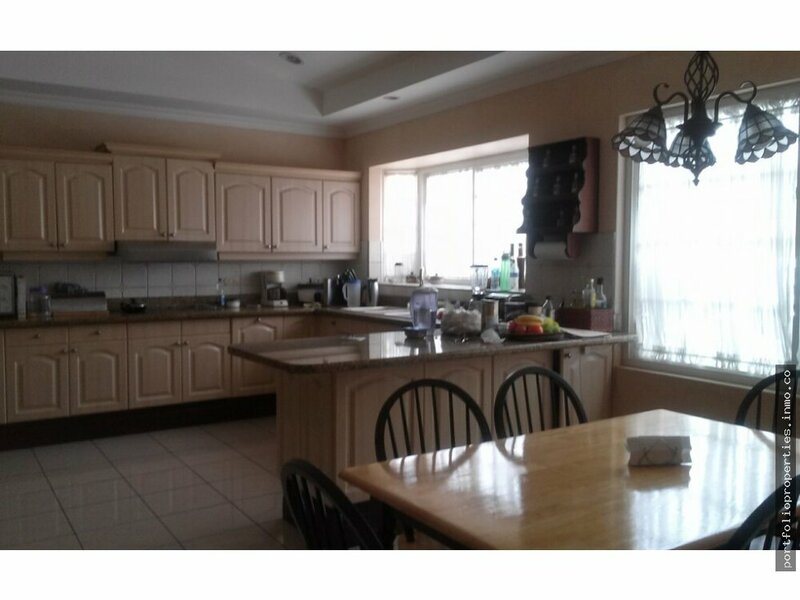 3 or 4 bedrooms plus open air office on main level, overlooking interior garden and open air living room. All rooms are high ceilinged, with baths and closets of grand sizes. SUPERIOR CRAFTMANSHIP to entire house decor, including crown boldings and arches throughout the designs. 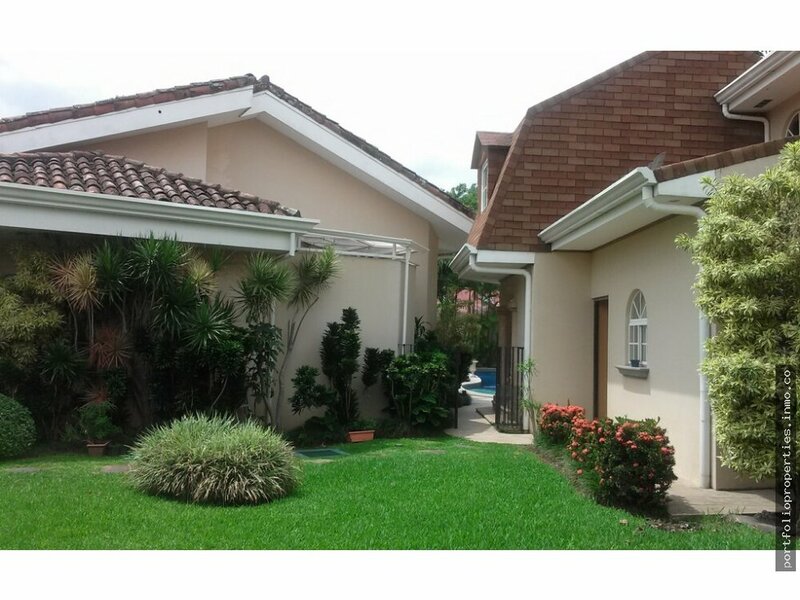 Property located in a quiet neighborhood near MultiPlaza and all the shopping in Escazu and surroundings. Parking for 6 cars, two in garage. Ideal for entertaining...Construction 477m2, Lot 1,348m2.